Abbiocco… Italian word meaning “the drowsiness one experiences following a satisfying meal”. That’s what we’re feeling right now after just having sampled some of Abbiocco’s sensational Italian food. 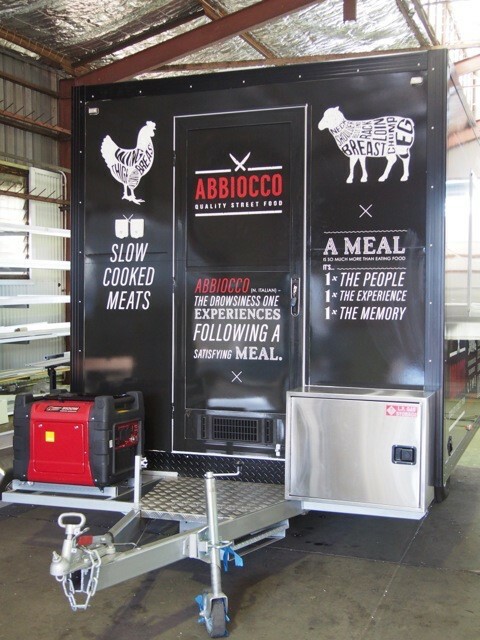 Yawn… finding it hard to stay upright let alone type… The lovely Peter & Mikayla from Abbiocco have just dropped in lunch to the Van Demons team to say thanks. We dare say productivity is not going to be real flash around here this afternoon. Do yourselves a favour and track these guys down. Their food is restaurant quality. Chef Peter’s background is fine dining Italian, and while this style of food coming from a food truck in little boxes with brown paper inside is anything but fine dining, the flavours and the quality of their food is just as good as you’ll experience in any fine dining Italian establishment. With their first baby on the way, Peter decided that the flexibility of owning a food truck was a much better option than working in a restaurant kitchen 12 hours per day. 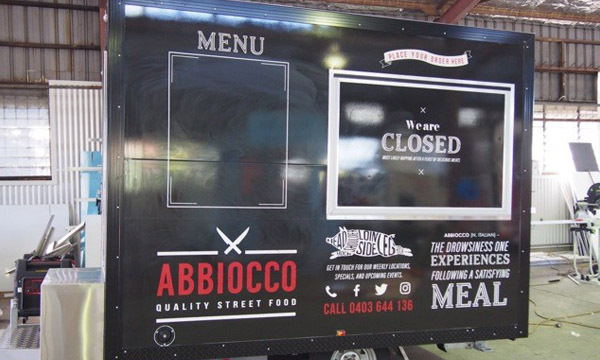 The Van Demons team have built Peter a 3m trailer from which to serve up his little boxes of Italian goodness. 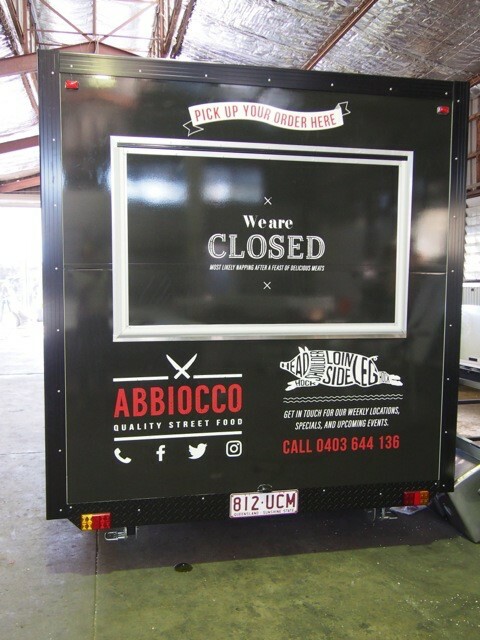 After operating for only three weeks, Peter reckons that already he is much less stressed (how many other new business owners outside of the food truck world could say the same thing?! ), and Mikayla is enjoying seeing her husband at home more – just in time for their impending arrival!